Office hours: Mon 4-5pm (Altgeld 376), Wed 4-5pm (Homework Study Session, Altgeld 443), Thu 5-6pm (Altgeld 376), or by email appointment. Text: Frames and Bases in Mathematics and Engineering: an Introductory Course by O. Christensen (not yet published; buy it as a coursepack). Frames are special "overcomplete bases" in a Hilbert space. They arose originally in the study of nonharmonic Fourier series, and have since found many uses in harmonic analysis and signal processing. We will first study synthesis, analysis and frames for the finite dimensional case in Rn, and develop the infinite dimensional theory in Hilbert space. 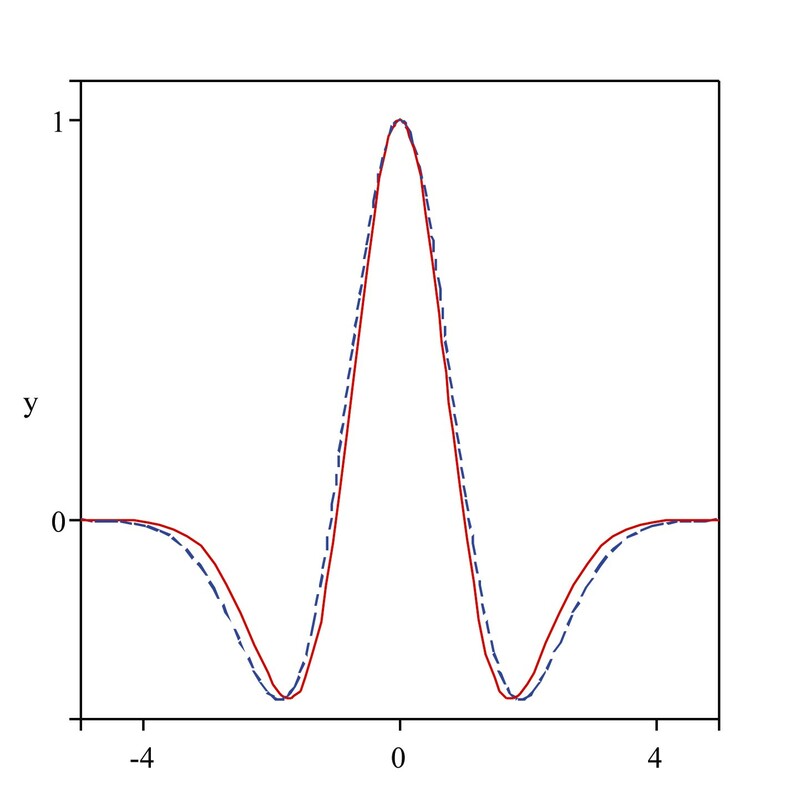 Then we investigate two important kinds of frame from harmonic analysis: Gabor frames (time-frequency shifts of a window function) and Wavelet frames (time shifts/scale dilates of a mother wavelet). The course is aimed at applied mathematics and engineering students. The prerequisites are knowledge of the basics of Fourier transforms and Hilbert space theory (orthonormal bases, bounded linear functionals, and bounded linear operators from one Hilbert space to another).